Requirenments: Volunteers should be at least 18 years old and have completed a minimum of one term at university or a minimum of one year of work after A-levels. 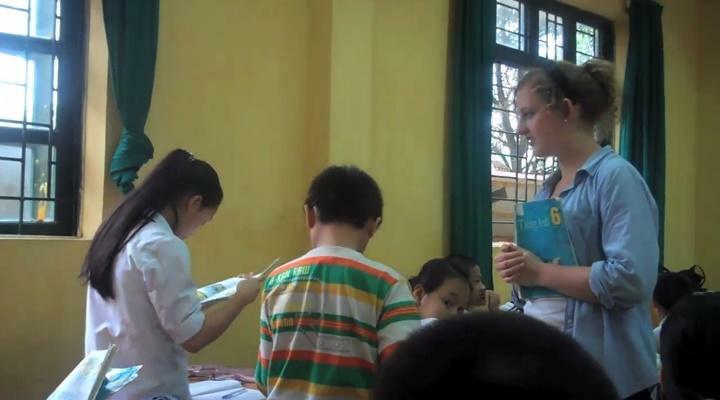 By volunteering in Vietnam you will gain invaluable teaching and classroom-based work experience. The focus is on conversational English, so you don’t need any formal qualifications or TEFL training. However, we work closely with the Vietnamese Ministry of Education and they require that all Teaching volunteers in Vietnam are at least 18 years old and have completed at least one term at university or a minimum of one year of work after A-levels. Teaching in Vietnam will give you a new perspective on this incredible country. Whether you are volunteering during your gap year, career break or on an extended holiday, you will have a valuable role to play teaching in one of our partner schools. The impact you have on the lives of your students will be long-lasting. You will also be part of a much larger volunteer network, which is making a really positive contribution to the wider community. It will be an experience you never forget! Since the mid-1960s Vietnam has followed an American model of education and administration. Therefore, for many years now, Vietnam has recognised the increasing role of English as the language of business and the importance of adapting the education system to the rapid pace of its economy. Tourism is also growing in Vietnam and speaking good English is essential to get a good job within the tourism or business sectors. Projects Abroad Vietnam is based in the capital city of Hanoi. There is an enormous demand to learn English amongst Vietnam’s young population, and English is taught in all secondary schools and many primary schools in the city. In most schools you will take your own class, however, a few schools will allow you to begin as a classroom assistant, supporting the local teacher in their lessons. English speakers are looked up to here and teachers are respected, so the children will be keen to learn from you. Whether you are teaching your own class or assisting, a large part of your role is to help improve the pronunciation of the children’s English. By teaching fun, inclusive lessons you can develop the pupils' confidence. They are sure to be interested in your life, and you can take advantage of this to get them talking to you and each other. You can also choose to teach French in Vietnam, if you speak the language well yourself. The workshops usually involve brainstorming ideas, question and answer sessions and general discussions. Any months when there is not a teaching workshop arranged a similar Care project workshop takes place, which also covers useful topics for teaching volunteers.